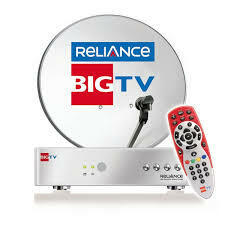 Reliance Big TV DTH (Direct-To-Home) is one of the largest direct-broadcast television services, these establish at in August 2008. Reliance Big TV has total number of 246 channels and expands 12 HD channels. It Have over 4.1 million subscribers.